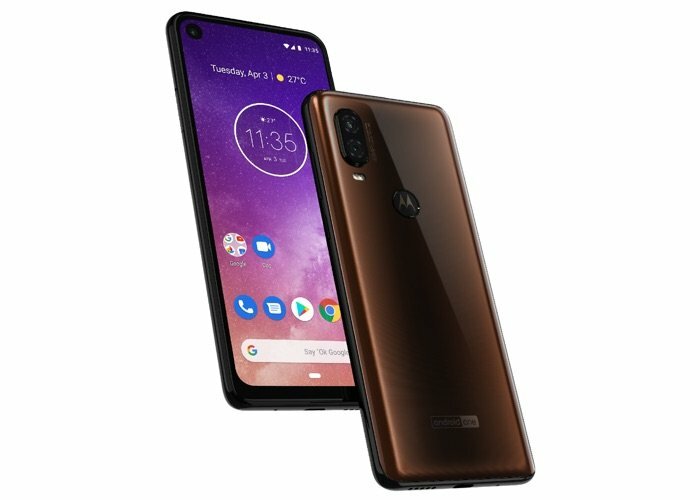 We recently saw some specification on the new Motorola One Vision smartphone and now a press photo of the handset has been leaked. The leaked photo confirms that the handset will feature a small cutout for the front camera and that it will come with dual rear cameras. We heard previously that the device would come with a 6.2 inch display and will feature a 21:9 aspect ratio and a Full HD+ resolution of 2520 x 1080 pixels. The Motorola One Vision will be powered by a Samsung Exynos 9610 processor and it will also come with either 3GB or 4GB of RAM and a choice of 32GB, 64GB or 128GB of storage. The handset will come with Android One, as yet there are no details on when the handset will launch and how much it will retail for.